Home » Blog » What about The Second Mile? Details of emails that reveal how top Penn State administrators handled the 2001 Sandusky allegation have finally leaked out. But many of us are having trouble getting our heads around what they really say. So I thought creating a timeline of how administrators handled the 2001 incident would be helpful. And in that context, I have two takeaways. 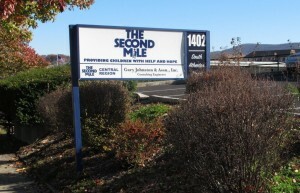 What happened to The Second Mile? First, the handling of the chain of passing the buck abruptly stopped at The Second Mile, when Curley told executive director Jack Raykovitz about the allegation. Raykovitz – the head of a children’s organization – apparently did nothing with the information. We don’t know much about what Raykovitz and his organization did with that information. The Second Mile is being investigated, but little has been revealed about what it’s finding out. But the primary responsibility of the head of any children’s organization is the safety of its participants, and any report of sexual abuse has to alarm anyone in that role. It apparently didn’t alarm anyone at The Second Mile. This doesn’t absolve Penn State from responsibility, but it’s outrageous that Raykovitz and The Second Mile isn’t getting more as much or more blame than Penn State. We need to remember that. Joe knows … about the Sandusky allegation? Joe Paterno’s newly revealed role in the allegation’s handling has the most potential impact for alumni and Penn State. Some, like me, were crossing our fingers that he – and his legacy – would emerge from this with only a minor blemish. Others were convinced he would be vindicated, and still won’t consider the possibility that he might have been involved in any decision to not report Sandusky. But the emails make either scenario less likely. Think of the impact this single revelation might have. For 50 years, Joe was the poster child for integrity. Whether Penn State won or lost on the field, alumni could always hang their hat on the fact that the university and its football team were about something vastly more than a game. But if it turns out he was single handedly responsible for administrators’ decision not to report Sandusky, his entire legacy of honor and integrity will be questioned, if not deemed a complete farce. Such a revelation would be completely devastating to all of us. But it’ll be especially difficult for those individuals and groups who have rose to power by demanding that the Board of Trustees apologize for “rushing to judgement” and firing Joe.